We know how to keep our dogs safe from ice and snow. Puppy-proofing our homes to ensure they don't encounter any dangers there. But what about the dangers that we can't see, heat in the summer? One of the ways is with using best dog crate cooling fans to ensure your dog can comfortable stay in his den without overheating. Heat stroke is one of the most common health issues seen in dogs during the summer months, and your pet doesn't need to be outside to overheat. 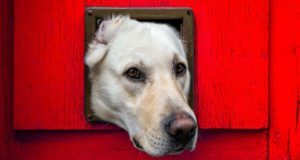 Simply being in a kennel that is located inside a stuffy, hot room could result in a dog suffering from heat stroke while their owner isn't home to help. * Click on the best dog crate cooling fans for more information, prices and details. Scroll below to read reviews. 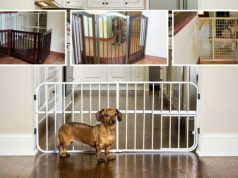 Crating a dog keeps him safe when there is no one at home to monitor his behavior. It also prevents our pets from doing damage to our homes and belongings. Unfortunately, crating a dog when it's really hot outside can be dangerous. Heat stroke in dogs is not something to take lightly when it comes to your pet's health. This potentially fatal condition occurs when the generation of heat in the dog's body exceeds the ability to dissipate it. Most dogs can't do that themselves when living “the human pack life,” and we need to help them beat the heat when the temperature gets too high. All dogs need access to shade when outside in hot weather. They also need access to fresh, cold water. If you can keep your dog inside in an air conditioned or well ventilated space, that would be the absolute best option. Unfortunately, we don't all have the ability to keep our pooch chilling under the AC 24 hours a day. 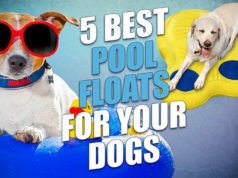 On the bright side, there are many dog cooling products on the market – everything from cooling mats and cooling vests to backyard swimming dog pools and even misting systems – that will help your pet stay cool and comfortable during the hot summer months. 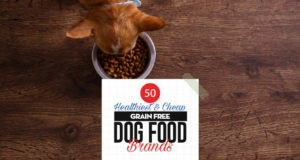 Using a cooling fan in a dog crate is yet another way to protect your dog from the heat in one of his favorite spots for resting and sleeping. In fact, best dog crate cooling fans are the simplest and most affordable options to keep your pup cool when the mercury rises. What are the Best Dog Crate Cooling Fans? This dog crate fan from ASL Solutions is designed to keep outdoor dog houses and crates cool. It works by flushing warm air out and replenishing it with a fresh breeze up to five times per minute. This is powered by the sun through a solar panel, but there are open vents that provide constant exhaust when the sun is not out. The vent can be closed during winter with the turn of a knob. This exhaust fan is the perfect cooling system for Dog Palace insulated doghouses, but it also works for other designs of dog crates and kennels. The fan moves air well and cools the doghouse as expected. The Dog Palace Breeze Solar Powered Exhaust Fan works great when the solar panel is located where there’s direct sunlight. There’s a power cord included should it be necessary to install the solar panel remotely instead of atop the doghouse. Dog owners are happy with the fan’s performance and say that they’re glad to be using something that’s powered by clean energy. According to them, this cooling fan results to as much as 15% reduction in temperature. Since this low-voltage fan uses the energy harnessed from the sun, it’s very economical in the long run. The Pro Select Cool Pup Crate Fan runs on batteries, so it's one of the best dog crate cooling fans for travel. It is well-built, lightweight and compact. It uses four C batteries, runs on a powerful 2-speed motor, and works by expelling warm air and replacing it with fresh airflow. It has an integrated thermometer and a ready port for an AC/DC adapter. The fan has a clasp that attaches securely to any crate or pet carrier. Dog owners noticed that it operates with barely a sound, so it doesn’t bother their pet inside. They find the Pro Select Cool Pup Crate Fans to be far more effective in cooling their dogs through the scorching summer months than cooling vests or mats do. This is a very practical solution to protect pets from overheating and getting heat-stressed while being transported in crates. Having used the fan now and realizing how functional it is, pet owners say that they can’t imagine taking the risk of bringing along their pets without this very indispensable cooling contraption. Foldable, compact and battery-powered, this 5-inch fan is the perfect cooling device for dogs inside crates or pet carriers. It has two speed settings, can be tilted to adjust airflow direction, and runs on two size D batteries. Since this fan from 02Cool is very portable, it packs easily and is one of the best dog crate cooling fans for trips and outdoor activities. It is available in colors of black and gray, and is made of durable and high-quality plastic. Dog owners who’ve used this fan to cool their dogs while in transit prefer it over other brands for obvious reasons. The 02Cool 5-inch Portable Fan produces a gentle breeze that’s enough to provide cool comfort to their pets. It folds flat when packed and attaches easily to the crate when used. And unlike other noisy fans which annoy their dogs, the 02Cool is a quiet operator. They also noticed that batteries last a long while with this fan; hence, it’s very economical. This energy efficiency can be attributed to the patented blade design which optimizes airflow at the least power used. While pet owners have started using this for their pets, it’s so efficient and practical that they’re now finding other uses for this fan in their homes and offices as well. This fan from Metro Vacuum features a noiseless design. It also has two speeds to choose from and runs on two “D” batteries with up to 100 hours of run time. A secure clip makes for easy installation to any standard crate, kennel or travel carrier. This product is covered with a 1-year warranty from the manufacturer. This little fan moves air into the crate making pets breathe easier as they are transported or when they are brought to shows and fairs. Most pet carriers can be oppressively airless, and the Metro Air Force Crate Cooling Fan is practically a life-saver to most pets. It definitely cools them and this makes all the difference. This is one of the best dog crate cooling fans, as it is amazingly quiet. This makes it much preferred by dogs and their owners. 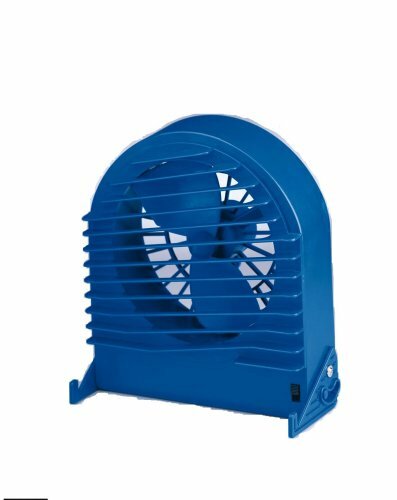 This is one of the best dog crate cooling fans because it is versatile and compact. It can be hung from outside or inside the crate. 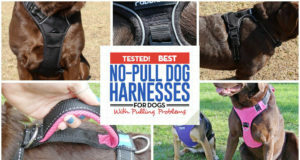 It’s very light, easy to carry and attaches to the pet cage or carrier with nary a hitch. This fan from Pro Select enhances the cooling power of compatible Pro Select fans. This cooling system includes a freezer pack inserted in a plastic cartridge that mounts perfectly in Pro Select Standard Cooling Fans and Pro Select Deluxe Cooling Fans. The ice core pack insert contains liquid ingredients such as distilled water and propylene glycol. It must be frozen at least 4 hours before using. When attached to the cartridge and then to the fan, this will provide up to 2 hours of cooling comfort to your pet. 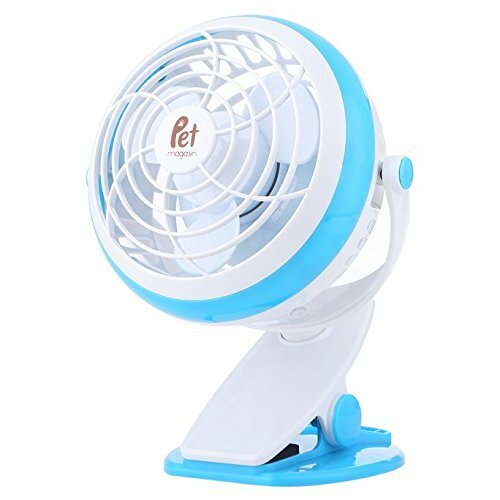 This is a great cooling enhancer to pet owners who already have compatible Pro Select fans, or who are planning to buy one. 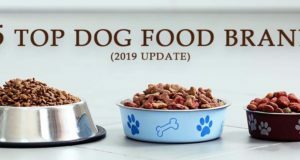 When attached to the fan, the effect of the Pro Select Crate Fan Cooling System can be likened to an air conditioning system because of the added chill and cold air, not just air movement that’s offered by the other best dog crate cooling fans. Pro Select fans are great by themselves. With the added icy core, it becomes more than perfect. When pets are confined in crates and have no other place to go for comfort, the chilly air from the Pro Select fans with these Pro Select cooling system are a real treat to them. It’s important to freeze these inserts way ahead of time, though, to be really effective. This dog fan from Pet Magasin not only looks cool and elegant, it also works great in moving air around carriers, kennels, crates or inside cars. It’s made of durable plastic and designed to provide optimum cooling comfort to pets and humans alike. It has a USB port (USB adaptor and cable included) for an AC power source. Four AA batteries (not included) can also be used for DC power and cordless convenience when traveling. It’s a compact device that users find a breeze to install – there’s no need for tools. This is one of the best dog crate cooling fans, as i t can be left free-standing on its base when stationary or clamped to a pet carrier, kennel, crate or to any surface or structure that the sturdy padded clasp can lock onto. They also like that the Pet Magasin Fan for Dog Crate can swivel up and down or turn around 360 degrees horizontally to direct the airflow where it’s most needed. Pet owners find the dual power options very desirable. It suits them perfectly when they need to transport their pet in a crate and there’s no accessible plug-in power source, or when they find batteries too expensive and using electric power would be to their advantage. Either way, it widens their options and they like that in a product.